What could be more precious to your Bingo Hall than your equipment? Cover them up to keep them safe! 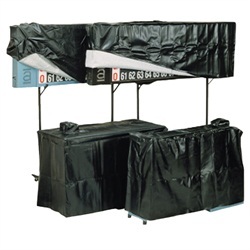 These covers are specifically designed to cover and protect AI equipment. They are form fitting naugahyde covers, durable and water resistant. Add years to the appearance and life of your equipment!